That is a bit long that we didn’t see improvements available for Surface Laptop since the last bunch of improvement rolled out on October 18th, last year. Now, Microsoft has rolled out another new firmware update to Surface Laptop at the end of the February 2018 to improve device’s battery stability. According to the release notes available on the Surface Laptop update history page, here are the full changelog of the update. – 135.2114.3.0 improves battery stability. You can also download cumulative and current firmware and drivers for Surface Laptop here. 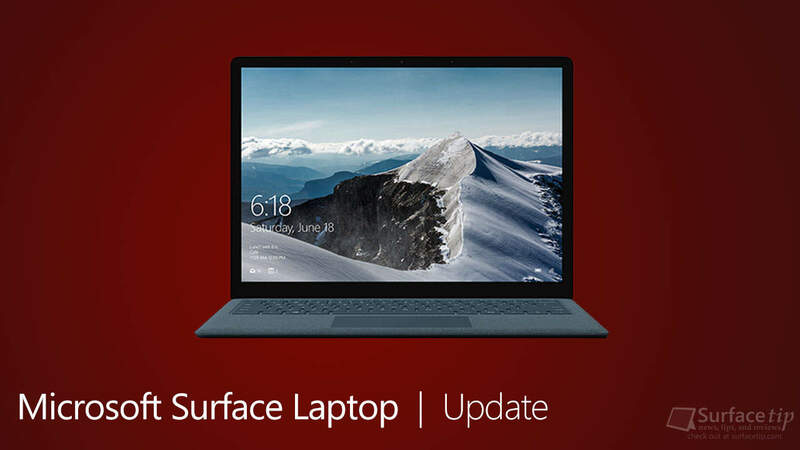 We appreciate hearing your thoughts, questions, and ideas about “Microsoft Surface Laptop get better battery stability with the February 2018 firmware update”. Please post respectful comments and on topic. We will be replying back to you as soon as possible. Share your idea about "Microsoft Surface Laptop get better battery stability with the February 2018 firmware update".